Samsung's quarterly profit and revenue missed estimates on sputtering demand for memory chips during the last three months of 2018, the same period when Apple saw anemic sales in China. Deteriorating relations between the US and China — Samsung’s two biggest export destinations — has hit demand for memory used in everything from personal computers to mobile devices, raising the pressure on a company struggling to revitalise its smartphone business. Compounding that challenge is weakness at Apple, a major customer of components; the iPhone maker stunned global markets last week when it cut its sales outlook for the first time in almost two decades. Fourth-quarter revenue fell 11% to 59 trillion won, compared with the 63.6 trillion won average projection compiled by Bloomberg. Samsung didn’t provide net income, which it will do later this month when it releases final results. 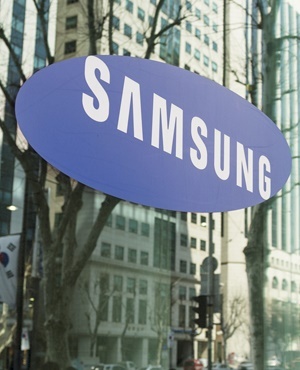 Samsung’s shares fell 1.7% before in Seoul. The stock dropped 24% last year. Memory chips account for the biggest portion of Samsung’s profit. Contract prices for 32-gigabyte DRAM server modules fell about 5% in the December quarter, according to InSpectrum Tech. Prices for 128 gigabit MLC NAND flash memory chips fell about 3.4%. While Samsung still leads the world in smartphone sales, it’s being squeezed by Chinese handset makers like Huawei. The South Korean company is pinning its hopes on a foldable-screen phone that it plans to ship this year, along with a flagship Galaxy S10 model that is said to feature an in-display fingerprint sensor and a near-zero bezel. “Recovering demand in the first quarter cannot be expected, because it is a seasonally low period and customers also know prices are coming off, so there’s no rush to buy,” said Sanjeev Rana, a Korea technology analyst at CLSA.